Want it by Friday 26th April? Order within 19 hours, 3 minutes and choose Royal Mail Tracked 24 Hour at checkout. Our Isla long sleeved modal jersey tee is a versatile addition to your wardrobe. 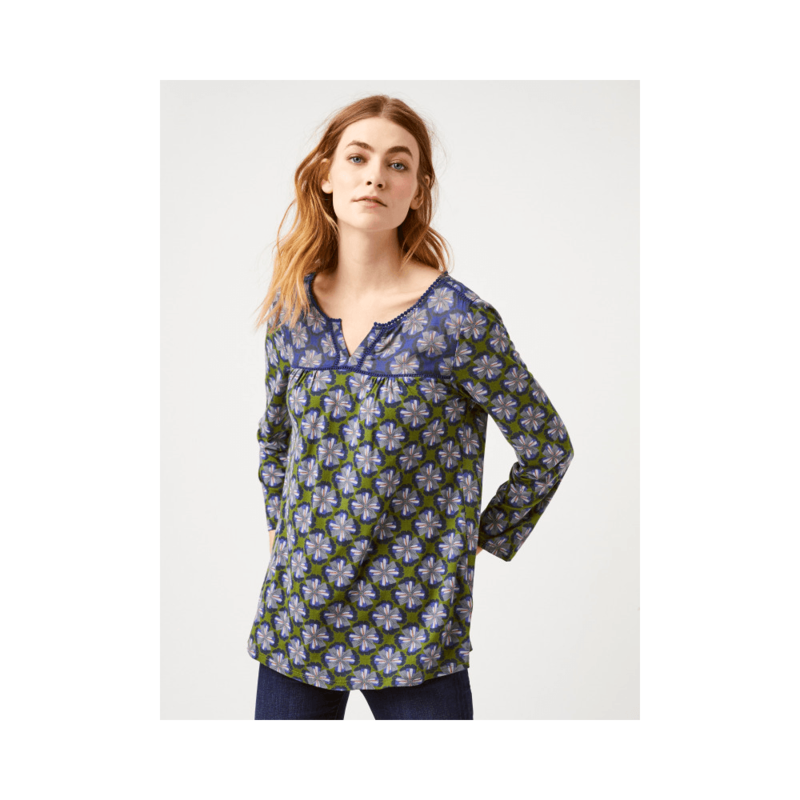 Soft to the touch, this printed top features a notch neck, and crochet and gathered detailing. Perfect to pair with jeans for a stylish casual look!